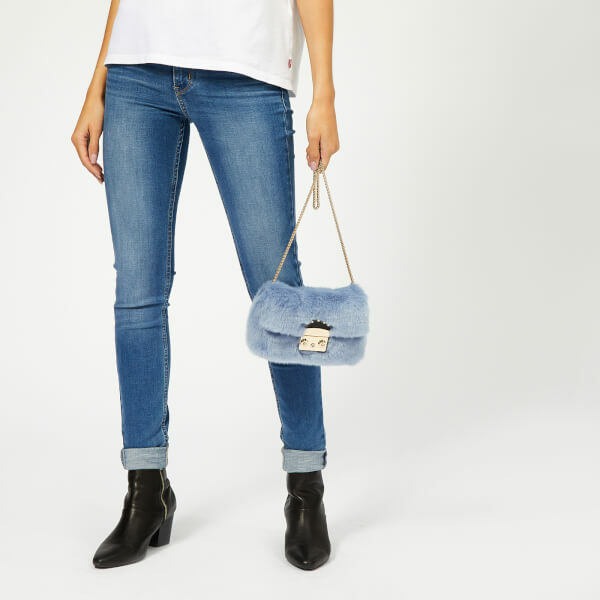 Furla’s ‘Metropolis Nuvola’ mini cross body bag forms a compact silhouette and is covered in a supremely soft eco fur. 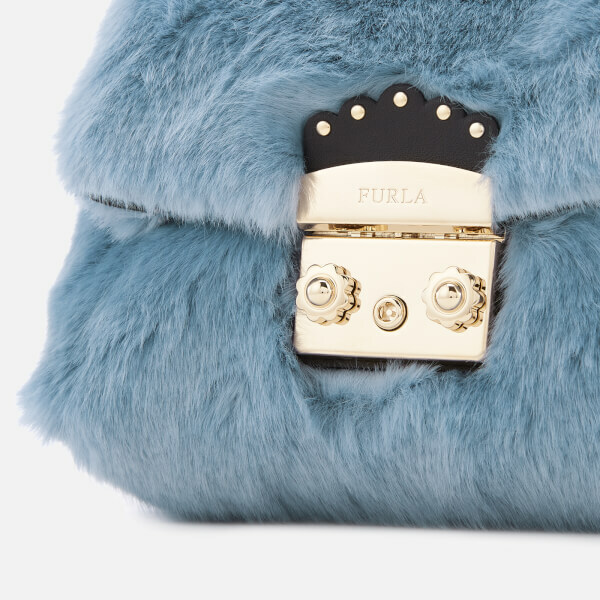 Furla’s familiar push lock fasten comes in a customised version with studded adornments. Inside the textile lined compartment is a slip and a zipped pocket. 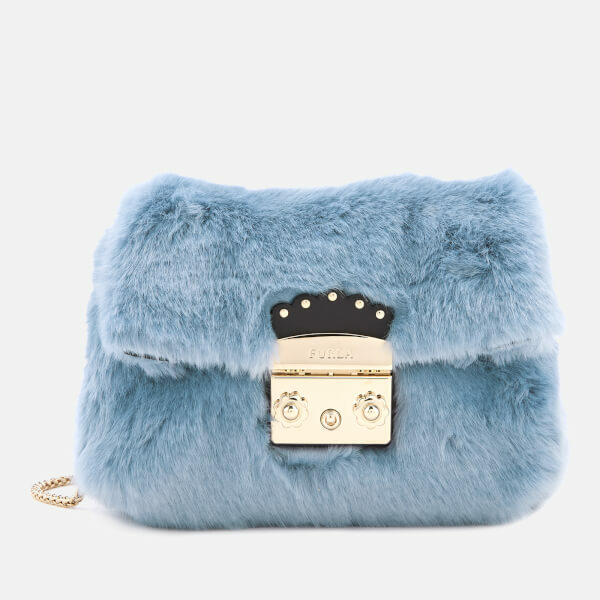 The faux fur shoulder bag has a metal chain strap that allows versatile cross body wear. 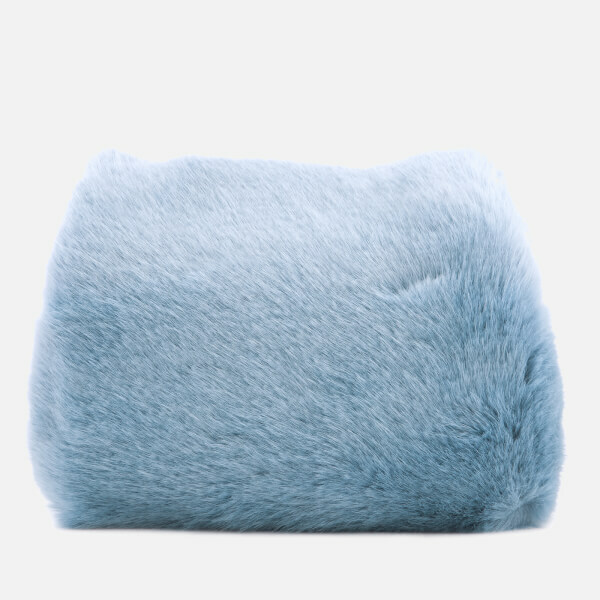 Outer: Faux Fur. Lining: Textile. Dimensions: H: 12cm x W: 22cm x D: 8cm. Strap Drop: 56cm.